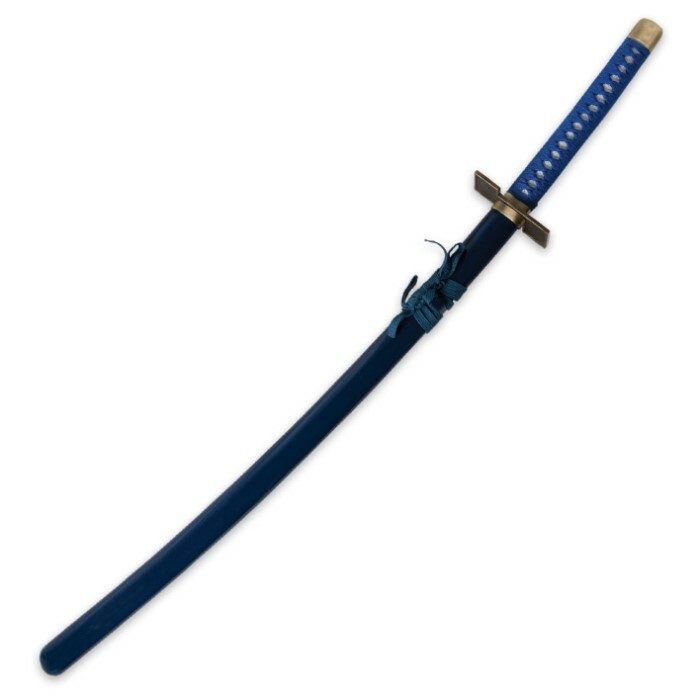 Our replica features a 440 stainless steel 27" blade, deep blue color cord wrapped handle and scabbard, and special "S" shaped guard. Measures 41" overall. Incredible buy! Not quite as long as description said but pretty close. Worth every cent. awesome sword, this was my first purchase but surely not my last. This is a great sword. 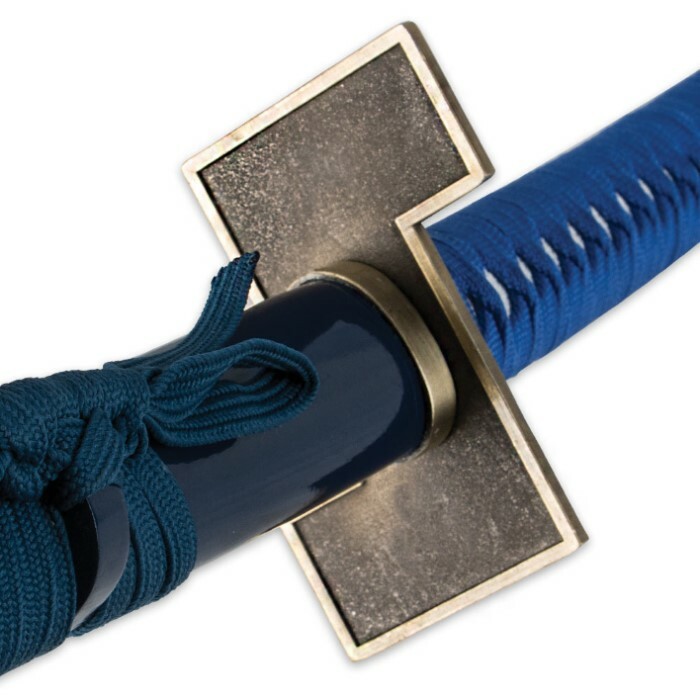 It is a great quality sword. longer then i thought it would be. Great for any Grimmjow fan or a Bleach fan for that matter. This unique S shaped guard on this sword definitely stands out in my collection. When you hold it you almost want to yell out "Grind Pantera", I can't say much else about it except that it's an amazing replica! Grimmjow! I loved this character and this sword is perfect! The quality is great and looks just like the one he uses. No regrets here at all! To any fan of Grimmjow this is a great buy. This is my first order from this site.And when I got my sword today i was really impressed about the quality.There was no damage during the shipping,the sword is packed tightly in the box(actually comes with two boxes there's one inside another).Its not sharp when you get but you can always sharpen it but the point of the blade is actually sharp.The blade is sturdy the handle is feels great and its firm The sheaf has a nice color tone to it as well.So i recommend this sword to anybody who's a fan of Grimmjow. Awesome sword for the price. The only problem i have is that the sword has drill holes in the hilt from some screws or something. 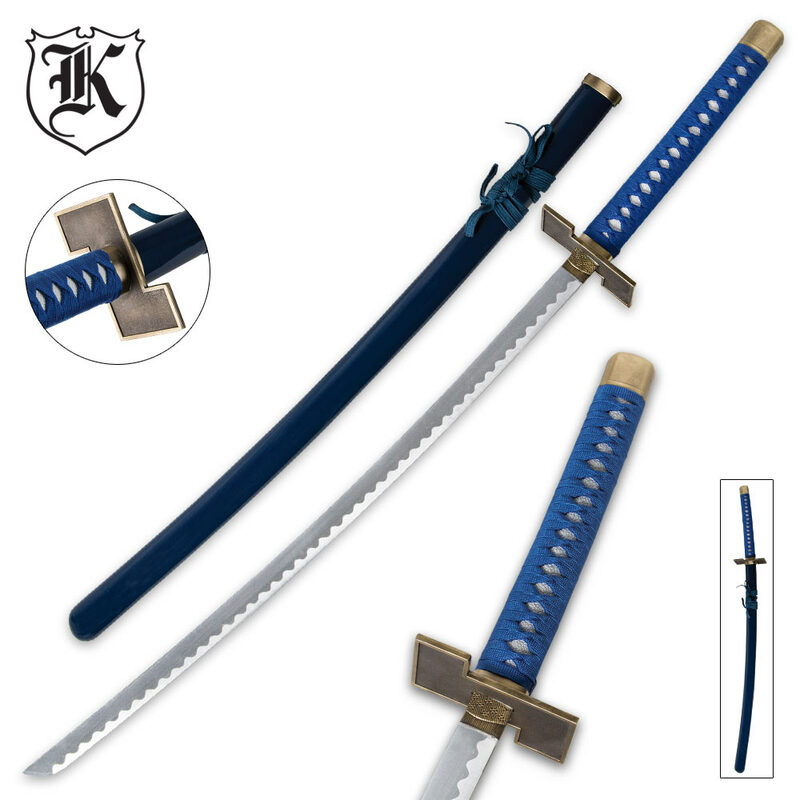 Other than that i recommend this sword to any fan.